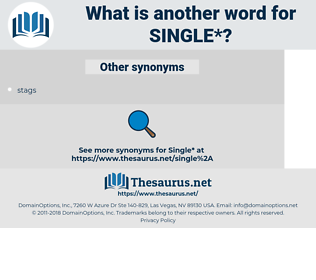 What is another word for single? To separate: to choose one from others: to select from a number. simple, single-sided, singe, single-window, single-box, harmonised, coherent, one-of-a-kind, unattached, unwed, common, irreplaceable, particular, homogenous, uncomplicated, standardized, cohesive, monolithic, lonesome, one-tier, celibate, collective, onetime, distinct, lone-parent, certain, concerted, different. executives, Sola, simple, chefs, common. single-parent, singular, one-stop, single-seat, once-in-a-lifetime, standardised, homogeneous, single-engine, one-off, internal, one-parent, single-wide, distinctive, single-lane, unanimous, individual. 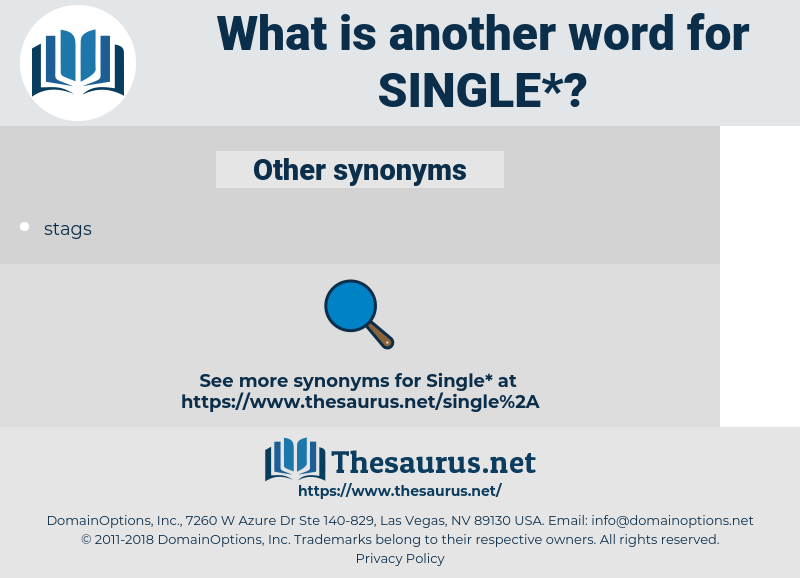 common, wedded, wed, united, usual, together, attached, ordinary, mixed, sociable, mingling, unimportant, public, indefinite, married, combined, general. betrothed, accompanied, pledged, promised, distributed, remarried, coupled, communicating, multiform, next door, attended, affianced, linked, paired, nonexclusive, two-fold, engaged, committed, connected. How can I call on a single man to arm, as I could in Morcar's name? I never had a single word with Mathilde. schemozzle, smuggle, smoke hole, Sao Goncalo, shingly, senegal, Schwann Cell, shemozzle, scincella, sensually, Sciaena Aquila, shingle, sanicula, singly, sinkhole, skin cell, semiweekly, San Jose Scale, seemingly, swimming hole, seneschal, sneakily, sanicle, sensual, squamous cell, snuggle, singel, snake oil, shining willow, San Angelo, swimmingly, schnozzle, sickeningly.